Sounders FC drew 1:1 in Argentina Saturday with a makeshift roster of trialists against CED Rosario, a collect of Argentine football free agents. The Sounders released the notes and quotes below. Colombian center back Jhon Kennedy Hurtado also saw his first Seattle action. Seattle meets Velez Sarsfield in the third game of its Argentine tour on Monday morning. Sounders FC Lineup (4-4-2): Chris Eylander; Zach Scott, Jhon Kennedy Hurtado, Tyson Wahl, Evan Brown; Michael Fucito (Diego Ferrerya 36’), Stephen King, Ryan Caugherty, Roger Levesque; Jeff Clark, Fredy Montero (Ely Allen 54’). Notes: Joining the team on Saturday was Ely Allen, a former University of Washington midfielder waived earlier in the week by the L.A. Galaxy. Allen arrived about four hours prior to kickoff following an overnight flight from Los Angeles, and he relieved Montero for the final 16 minutes. He played in 12 games, starting 11,and scored one goal for the Galaxy as a rookie last season. He is a Kent native and graduate of Kentridge High School…Seattle’s opening night opponent, the New York Red Bulls, are also training and playing in Buenos Aires. Both teams will attend Sunday’s Argentine first division game between Boca Juniors and Huracan…The final game in the tour is now confirmed. Sounders FC will visit River Plate on Thursday at 3:30 A.M. PT. The flight home is later that night. On March 19 a national TV audience on ESPN 2 will peek in on Sounders FC's debut when Seattle hosts the New York Red Bulls at 6:00 PM local time at Qwest Field. As much as we have been anticipating the new club we've also been anticipating that first home match as a way of beginning to see what kind of crowd our ticket holders will be. In the end it is up to us to make Qwest Field a 'soccer stadium.' In the end it will be the fans who will be remembered and critiqued as much as the players. So, to paraphrase the famous chant, "Who are WE?" We've been building to this day for years. So has Qwest Field. Originally designed and sold as a "Football / Soccer" stadium, Qwest Field will finally enter the national sports spotlight in its true 'soccer' form. There will be european-styled 'box net' goals. 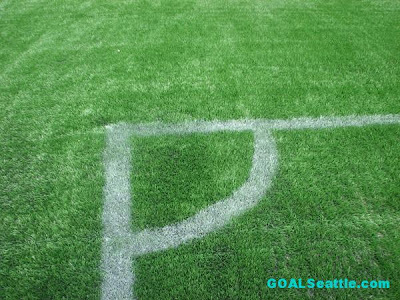 There will be soccer-specific lines on a pristine green Field Turf pitch. There will be nearly as many Sounders FC banners and flags on the concourse as there are Seahawks ones. There will be 27,000 fans in the stands. Those 27,000 fans were assured this last week when the home opener sold out before tickets could even go on sale to the general public. In-house the Sounders offered extra tickets to season 'members,' who grabbed up that offering for family and friends. Sounders ticket sales have been creating buzz in recent days. Right now the upper deck seats at Qwest are being covered with giant tarps. One side will be rave green with soccer player outlines, the other side blue. Below in the lower deck where the fans will hold sway, only one section promises a growing identity in advance. The Emerald City Supporters have grown their numbers to over 400 and will stand in the south end with their other general admission brothers and sisters. This is the end expected to generate the most noise, color and passion. In generally the same area and looking for a cohesive working arrangement with supporters will be the Sound Wave, Sounders FC's marching band. Opposite to them in the north (that's where I'll be) fans will hang out almost over the goal on the cool 'porch' seats beneath the Hawk's nest. They'll have the closest look at the Sounders defense and also the opposing goalkeeper. Along the sidelines are the largest number of fans, nearly 20,000 strong. No one is sure yet how this largest segment of Sounders fandom will react on match days. Will some stand? Will there be flags? Color? Will they join in with the ECS on chants? Opening night March 19 should be a sea of rave green and scarves. Qwest Field should look its very best. The talk should all be of Seattle, soccer and our new club. The very next day Major League Soccer followers from around the country will start having their say: Are Seattle's crowds going to put Qwest Field on the world soccer map? Will Qwest Field and the public address announcer(s) strike just the right chord of giving information but letting the fans create the atmosphere? If they do, are the fans going to unite and do so? Qwest Field is in search of its own identity as a true soccer venue. Seattle's soccer fans will be the deciding factor on whether that search eventually ends in success. Talk about Sounders match day in our special forum for this topic. 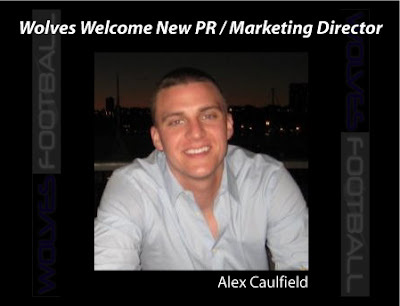 (Tukwila, WA) – The Seattle Wolves FC today announced the addition of Alexander Caulfield to the SWFC Front Office. Caulfield will fill the role of Director of Public Relations, and has already made his presence felt in the front office, initiating exciting marketing and PR initiatives. Currently a graduate student at Seattle University working on a Masters degree in Sports Administration, Caulfield has worked in the ticketing departments at the University of Washington and the New York Yankees, and has a strong experiential background in public relations and marketing. 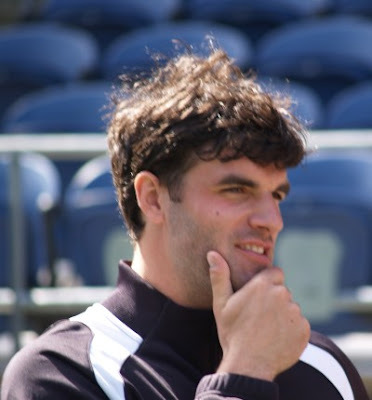 For the complete Alex Caulfield headline, visit SeattleWolvesFC.com. 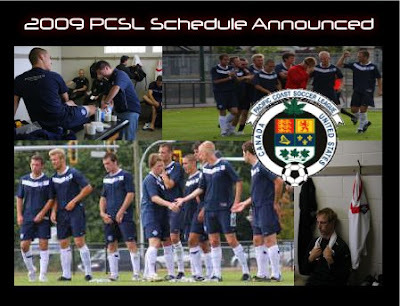 (Tukwila, WA) - The Seattle Wolves FC today made final preparations for their 2009 Pacific Coast Soccer League (PCSL) schedule. The Wolves will open their season at home against Khalsa Sporting Cub on Saturday May 2nd at 8:00pm inside the the Starfire Sports Stadium. The Wolves’ full PCSL season schedule is available on SeattleWolvesFC.com. Season tickets are now on sale for only $49, and provide entry into all Seattle Wolves FC PCSL and USL Premier Development League (PDL) home matches (18 league matches). Individual match tickets are only $4, or $3 when purchasing 10 or more. In addition, the Wolves will be offering a $300 "Train with the Wolves Package", which includes an hour and a half training session with a Seattle Wolves FC player and match tickets for your team. For more information, or to reserve your SWFC PCSL/PDL tickets, contact tickets.seattlewolvesfc@gmail.com. Want to own part of a real football club? The Seattle Wolves FC is also offering fans of the world’s game the opportunity to join the voting SWFC Membership Council. This isn’t a fan club. 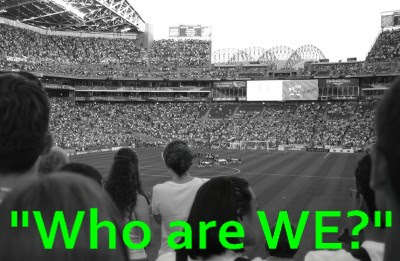 This is an exclusive council of football enthusiasts who want to play a part in the growth of the Seattle Wolves FC. In 2009, the Seattle Wolves FC will offer Membership Council seats for only $75 annually. Membership includes life-time quarterly voting rights on important decisions within the club, season tickets to all SWFC home matches and free SWFC apparel. Lock in this once in a lifetime opportunity today by emailing council.seattlewolvesfc@gmail.com. Next Thursday, March 5th, Seattle Wolves FC Players, Staff and Fans will gather at the George and Dragon Pub in Fremont to kick-off an exciting 2009 for the Wolves. The event is the club’s first social gathering since late 2008 when Tim Merrit, Alyssa Emmons and Ian Chursky showed off their football knowledge in defeating 13 other groups in Alex Weaver’s Football Quiz. This Thursday’s theme is a bit different. 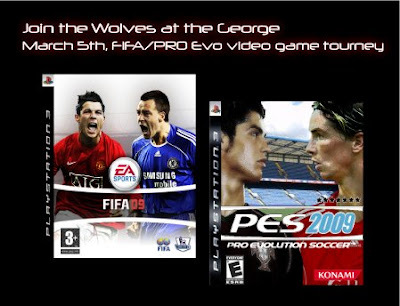 Wolves’ player, Paul Hughes is organizing a FIFA/Winning Eleven video game tournament to be played on the big screens at the George and Dragon. The festivities will begin around 7:00pm. If you are interested in joining the tournament, please email seattlewolvesfc@gmail.com soon. The George and Dragon Pub is located at 206 North 36th Street, Seattle WA 98103 in the Fremont neighborhood. We've got more from Seattle's 3-1 training win today in Argentina. Nate Jaqua scored the first Sounders goal and talked about the match afterwards. Sounders FC faces CED, a collection of local free agents on Saturday, February 28 at 4 P.M. local (10 A.M. PT) in the second of five training games during the tour, which concludes on March 5. Photo Credit: Fredy Montero (#17) celebrates a goal against Estudiantes reserves. Sebastien Le Toux awaits the high five. The Kitsap Sun reports today that Kitsap Pumas are interested in leasing land where East Bremerton High School once stood. School board President Cynthia Galloway said she favored the idea of a public-private partnership that resulted in income. School board member Louis Mitchell called it “intriguing” and added that the district would need to make sure it could enter into a development-type relationship. Jones added that the district was prevented by state law from developing the valuable old Manette school site. In other Pumas club news the Kitsap outfit recently announced another business partnership. Bremerton, Wash. – The Kitsap Soccer Club has finalized what club officials are calling “a major sponsorship agreement” with The Soccer Dude – a local firm based in Port Orchard, Washington. 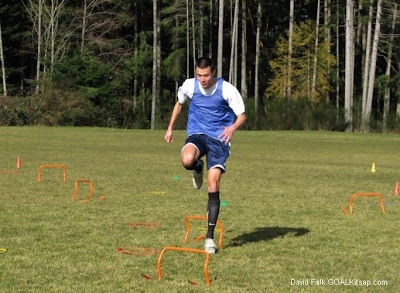 The Soccer Dude has patented and manufactures player development tools for soccer players of all ages including its Speed and Agility Ladder Stencils, Soccer Dude Target Nets, along with other products. The agreement contains the added bonus that at every 2009 Pumas home match, The Soccer Dude will distribute 50 tickets to the next home match FREE to folks attending that current match. The stencils can be used on virtually any surface – from dirt to grass - and the kits come in different sizes and skill patterns to fit virtually every training application. The agreement includes direct tie-ins during club matches, camps, clinics and youth activities along with other community outreach programs. For more information regarding The Soccer Dude, please call 360- 265-7892 or send e-mail to Scott at TheSoccerDudes@live.com. / WWW.SOCCER-DUDES.com. Fredy Montero ignited the attack in the second half, scoring twice in a 4-minute span as Sounders FC came from behind to open its Argentina preseason tour with a 3-1 win over Estudiantes de La Plata on Friday afternoon. Nate Jaqua pulled the visitors level in the second minute following halftime of the 70-minute match. Estudiantes, using a mixture of first team reserves and youth players, had staked a 1-0 lead in the 20th minute. Montero, who came on at the break, put Seattle in front, 2-1, in the 54th minute and made it 3-1 in the 58th. Sounders FC faces CED, a collection of local free agents on Saturday afternoon at 4 pm local. Seattle Sounders FC Lineup (4-4-2): Kasey Keller; Nathan Sturgis, Tyrone Marshall, Patrick Ianni, James Riley; Sebastien Le Toux, Brad Evans, Osvaldo Alonso, Sanna Nyassi; Nate Jaqua, Roger Levesque (Fredy Montero 36). Read a story about Fredy in Argentina from Matt Gaschk. Sounders FC have completed their second day of training in Argentina. The club send out the following recap. Jhon Kennedy Hurtado, the new Seattle Sounders FC central defender, arrived at the hotel during the team breakfast on Thursday. He smiled and circulated around the room for handshakes with his new coaches and teammates. Hurtado received a hug from his friend, Fredy Montero, who has known him for five years. The two played together at Deportivo Cali last year. Hurtado took an overnight flight from Bogota to Buenos Aires after departing Cali earlier Wednesday. Hurtado was issued his gear and less than two hours later joined the rest of the team for a 90-minute training session, which began at 11 A.M. local time under clear skies and ended with temperatures pushing into the low 80s (Fahrenheit). The practice included extended drills with the attacking players working on crosses and finishing while defensive personnel focused on keeping possession and building out of the back. Sounders FC will play its first training game on Friday morning (11 A.M. local, 5 A.M. PT) at Estudiantes de La Plata. General manager Adrian Hanauer arrived at the hotel just as the team was served lunch. Sigi Schmid and several members of his coaching and support staff will attend Thursday night’s Copa Libertadores group stage game between Estudiantes de La Plata and Bolivia’s Universitario. On Sunday, the entire team will go to the La Bombonera, home of Boca Juniors, to see an Argentine first division game against Huracan. Schmid is also interested in attending training sessions held by the various Buenos Aires first division teams during the next week. “It’s gone alright. The second day is always the toughest day. The first day you’re sort of like a zombie and you just keep going, keep moving and you sort of don’t realize what you’re doing. The second day is where fatigue hits you a little bit and the time change will hit you. But the team’s done well. In the last few days both Tacoma Tide FC and Kitsap Pumas have sent out releases regarding sales of season tickets for their 2009 PDL (Premier Development League) campaigns. Seattle Wolves FC have released information about their combination PDL and PCSL (Pacific Coast Soccer League) club season tickets, which will give you 18 matches. Tacoma Tide FC play in a great neighborhood in University Place, Tacoma. Curtis High School stadium is a very nice venue to take in a match. It faces the sunset over the Narrows, so bring your sunglasses. Tacoma's season tickets are general admission and cost $70 for adults (10 matches) and $30 for students. 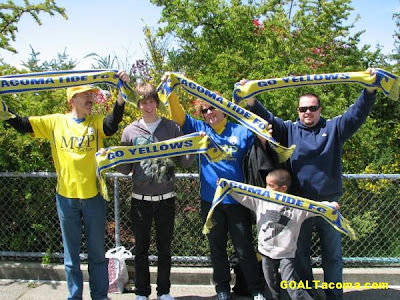 The Tide also give you a *free* TFC yellow and blue scarf with each season ticket purchase. Club website details. Kitsap Pumas are already setting themselves up as a 'throwback' to the days of pristine grass soccer pitches, hooped jerseys and village pride. The Pumas will be playing about 10 minutes away from the Seattle-Bremerton ferry landing in Bremerton. The Pumas have priced season tickets at $90, $75 and $45 for the season, with options for reserved covered grandstand and family endline general admission. Club website details. Seattle Wolves will have clubs in both the PCSL and PDL. In the recently announced club statement the Wolves are providing a real bargain for Tukwila-area soccer lovers. 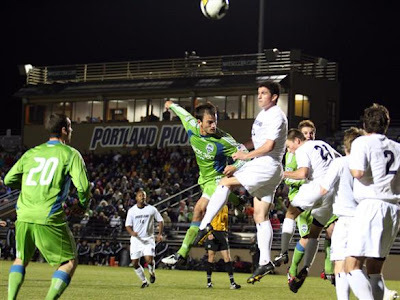 Both the PCSL and PDL seasons are included in a $49 season pass that will allow you to see all of both clubs' 2009 home matches at Starfire Sports Stadium (18 matches!). Club website details. All of our local neighborhood clubs supply soccer in your own back yard at a price that allows family and friends to pile in the car and have a fun night out on the cheap. Purchasing season tickets is a great way to support soccer in your neighborhood. Soon after arriving in Buenos Aires on Wednesday, the Seattle Sounders FC set a tentative schedule of training games while in Argentina . Seattle will play up to five 70-minute matches, beginning Friday morning (11 A.M. local, 5 A.M. PT) at Estudiantes La Plata. On Saturday (10 A.M. PT) the opposition is CED, a squad comprised of local-based free agents. Action resumes Monday at Vélez Sarsfield (4:30 A.M. PT) with a visit to Argentinos Juniors on Tuesday (4:30 A.M. PT). The final fixture will be either Wednesday or Thursday against River Plate. The Argentine clubs are expected to field a mixture of starters and reserves. The Sounders FC travel party arrived midday Wednesday in Buenos Aires following a 10-hour overnight flight from Dallas/Fort Worth. Late in the afternoon, head coach Sigi Schmid conducted a 70-minute training session with temperatures in the mid-80s at the Argentinos Juniors youth academy grounds. Argentine legend and current national team coach Diego Maradona is a product of the Argentinos Juniors youth system and played his first five professional seasons for the club’s first division team. Joining practice for the first time were Michael Fucito, the fourth-round MLS SuperDraft pick out of Harvard, and invitee Evan Bush, a goalkeeper from the University of Akron. Fucito met the team in Seattle last week after recovering from a hamstring injury sustained last fall. Third-round choice Jared Karkas took part in drills for the first time since a hamstring strain sidelined him three weeks ago. Central defender Taylor Graham (foot) was held out of practice and is not expected to play in any of the training games. Forward Steve Zakuani (ankle) did not participate in the tri-squad 7v7v7 possession games. Jhon Kennedy Hurtado, the newly-signed Colombian defender, arrives Thursday in Buenos Aires. The Sounders FC opens the MLS season on March 19, hosting the New York Red Bulls at the Xbox Pitch at Qwest Field. More than 20,000 season tickets have been sold and single-game tickets go on sale on Monday, March 2. 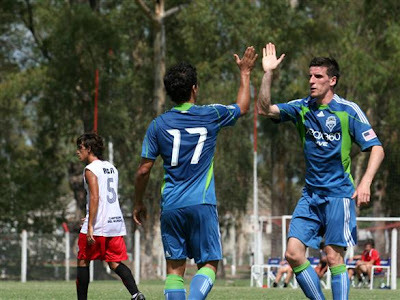 Sounders FC are in Argentina this week to go up against foreign competition as they build towards their March 19 debut. The club posted a video of the guys getting on the bus to the airport yesterday. Gary Washburn has a Argentina preview with some clear-headed comments from coach Sigi Schmid. Where in the world is Freddie Ljungberg? Spain! Fans have the good news about Freddie's rehabilitation in the GS forums. Of cash and broken bones: The Columbus Dispatch reveals how much the Sounders had to cough up to pry Sigi Schmid loose from the clutches of the Crew. Sounders center back Taylor Graham is on crutches in Argentina. Harvard athlete Michael Fucito joins Sounders training and gets a trip out of the deal, too. Here's a feature on Fucito in The Harvard Crimson. The buzz continues to grow over the Sounders season ticket sales. 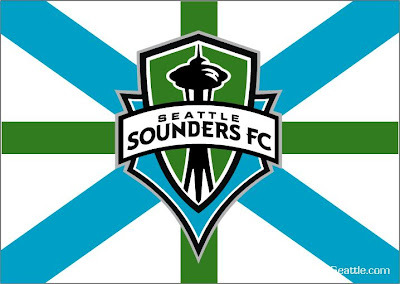 In the Seattle Times Steve Kelley writes about how "Seattle embraces Sounders FC." Jose Romero asked Adrian Hanauer to clear up any lingering doubts about how the SuperSearch player cut was handled. 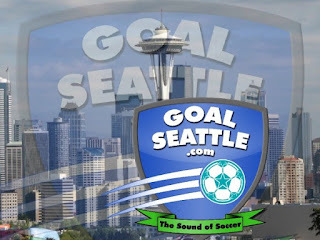 The GOALSeattle forums at www.SeattleSoccerTalk.com now have over 700 registered users. We also set a new record for people online at the same time this week: 115. Major League Soccer Talk gives us the news that Sounders FC will start at the very beginning for the 2009 US Open Cup qualification. You can read the rest of what Danny has to say here. Thanks, Danny, for being a model Sounder and helping us win so many big matches, cups and league titles! Even though you were cut from the Sounders FC roster in a hard-fought training camp, you'll never be cut from the hearts and memories of Sounders fans. The forums at www.SeattleSoccerTalk.com are busy with posts about the Sounders' upcoming first season in Major League Soccer. Season ticket members can purchase individual match tickets to 2009 home games before they go on sale to the public, and many fans are stocking up while they've got the chance. The Sounders are off to Argentina, but before they left it was announced that third goalkeeper Ben Dragavon would be going to Austin for a tryout with the new USL-1 Aztex. How will the Sounders do in 2009? A poll has been posted in the forums and fans are voting right now. 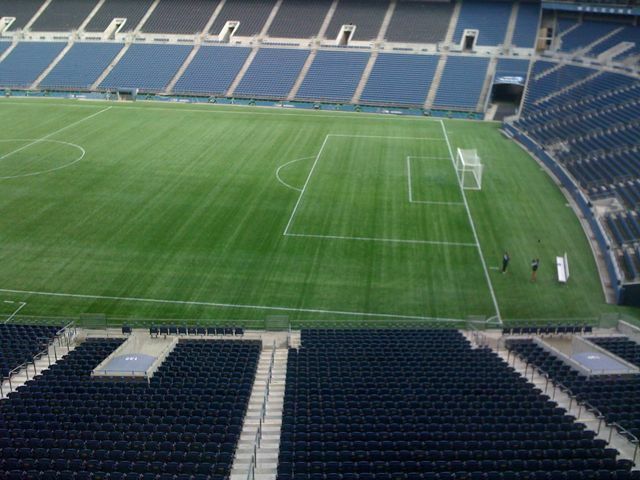 Will Qwest Field's Field Turf have any real effect on matches this year? Fans are voting and commenting in this thread. Seattle Soccer Talk: The teams that matter to us. One thing we know about the sport of elite-level soccer in Puget Sound in 2009: there's going to be plenty of it to watch.The huge majority of those watching will be doing so because of interest in Seattle Sounders FC.The Sounders have sold 20,000 season tickets and it looks like a good bet that nearly all matches will sell out before or on match nights. This is in effect a tsunami of interest in pro soccer, and how far the waves reach is unknown. Our three fourth division sides, Tacoma Tide FC, Kitsap Pumas, and Seattle Wolves FC, are of course hoping that the high water interest in Sounders FC will spill over to their neighborhoods. Just in case, the three clubs have tried their very best to not schedule their home matches on the same night the Sounders are home at Qwest. Some of it is that the guys who run these sides are genuinely Sounders fans, and some of it is simply the fact they don't want to be selling tickets up against the Sounders juggernaut. When the Premier Development League schedules for Tacoma, Seattle and Kitsap were released they showed only three local home matches (out of 24) in conflict. Tacoma Tide FC have since reduced that number to 2 after they moved a match with Seattle Wolves to Tuesday June 23 in Tacoma to avoid a Sounders home match. Now the dubious two left are Seattle Wolves hosting Kitsap May 30 while the Sounders are at home against Columbus Crew, and Tacoma Tide FC hosting the Spokane Spiders at 3:00 PM in the afternoon on Sunday June 28th while the Sounders are hosting the Colorado Rapids two hours earlier at Qwest. So there you have it, soccer lovers. Our three smaller clubs have 22 home matches that don't fall on Sounders home days. Make your plans to catch one of these clubs in action. We've got the master Puget Sound home schedule right here. Nate Jaqua scored two in the first half and Fredy Montero matched him with a brace in the second half as Sounders FC shut-out the 2008 United Soccer League defending champion Vancouver Whitecaps Sunday in a pre-season match at Qwest Field. Prost Amerika Soccer says: It was an eerie atmosphere as an empty stadium bore witness to Sounders FC’s first ever game at their home, but the visit of the Vancouver Whitecaps provided some familiarity. If this had been any Sounders fans first glimpse of the side, he may well have known the Caps side better, as a few of them were veterans of past Cascadia Cup derbies. Players such as Lyle Martin, Randy Edwini-Bonsu, Jay Nolly and Ethan Gage have already represented Vancouver in matches against Seattle. Read the full report here. Whitecaps employees at the match say: Final thoughts: the ‘Caps were outclassed today. I can’t really sugarcoat it. Seattle is going to be a surprisingly strong expansion team I believe. They take on Toronto FC in April and I think they could give them a run for their money in a battle of recent expansion squads. If Le Toux and Nayassi can continue to own the flanks and if Jaqua can continue to demonstrate his finish, they will score some goals. Unfortunately, we didn’t get to see Ljungberg as he’s currently injured (hey Seattle, get used to hearing that one!). And I don’t know if I can properly rate Seattle’s defenders, although Keller was solid as a rock, as always. Read entire blog here. There were a mix of accents at the Kitsap Pumas tryouts today in Silverdale, Washington, but everyone spoke the game of soccer. Twenty-seven invited players were on hand trying to impress head coach John Wedge and his staff of coaches and player evaluators. It's another step in owner Robin Waite's effort to bring 'authentic football' to West Sound. 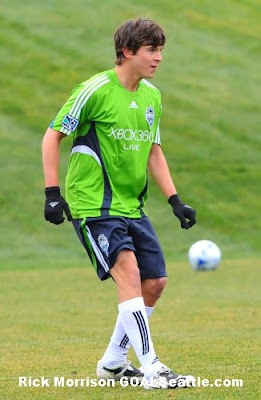 Dallas Jaussi, fresh off of his top-four finish in the recent Seattle Sounders FC SuperSearch was present, as were fellow trialists Oliver Wellman and Erik Sterling. 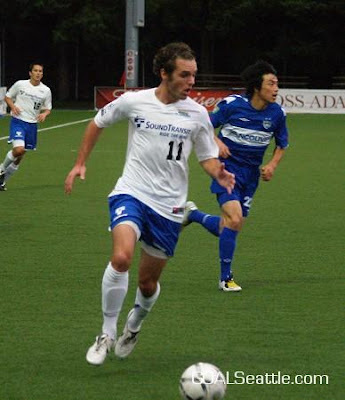 Steve Mohn, a former UW and Tacoma Tide FC player, was a call-back from the open tryouts held last week. On the sidelines Pumas Executive Director Ben Pecora exchanged comments with owner Robin Waite and watched the proceedings. Pecora expressed almost a sense of relief that the birthing process of the new club has reached the finding players stage. The sunny, warmer than usual day only added to the good feelings. Waite chatted about the turnout and suggested a few players currently still on trial with Sounders FC might be looked at by Kitsap, too. Vini Oliveira, the recently cut SuperSearch winner, was one of the possibles. Players were divided up in groups to play full field and to perform speed and agility tests. The guys were used to what was being asked of them on the pitch, but the agility testing had more than one collision along the way. The Pumas will kick off their inaugural 2009 PDL (Premier Development League) season in the USL (United Soccer Leagues) in May. The club will likely have a pre-season match or two in April as they gear towards league play. 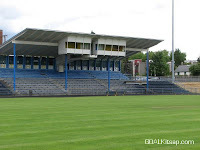 I spoke with Ben Pecora about what fans can expect from the Pumas on match day at Bremerton's Memorial Stadium. His response is at the end of the tryouts video. From their classic hooped blue and white kits right down to the natural grass they'll play on the Pumas desire to create the kind of 'football' experience you might find in the smaller towns in England or around Europe. 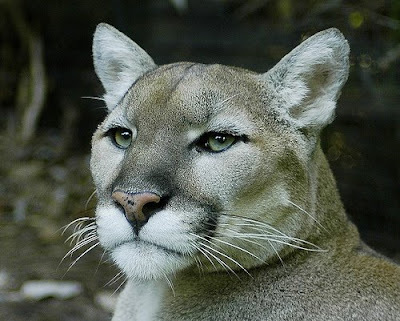 The Pumas see these local tryouts, searching for men who live and play here, as a part of that vision. Sounders FC got goals from Nate Jaqua, Jeff Clark, Fredy Montero (pk) and Brad Evans to roll by the University of Portland Pilots on February 20th at Merlo Field in Portland Oregon. Seattle fans were kept up to date with live match blogs from the Sounders, the Seattle Times and Prost Amerika. The pre-season victory upped Seattle's training match record to 4-1. Read Prost Amerika's on-scene match report here. The Pilots' match report is here. SoundersFC.com reviews the game here. We'll have a few match photos from Jenni Conner over the weekend. Sounders FC.com has photos from the match here. The Sounders next play the Vancouver Whitecaps in a closed-door match Sunday at Qwest Field. Photos from Jenni Conner here. Here's the latest video report from the Sounders as they practice at Qwest Field. Tonight the club travels to Portland to face the University of Portland Pilots in an exhibition match. Have your 2009 seaon tickets or 1/2 season package yet? Don't look now, but the Sounders just passed the 20,000 sold mark! Seattle University, the University of Washington and Seattle Pacific University have all recently released their lists of new soccer recruits. For the men, the SU Redhawks welcome Troy Bratten, John Pegg and Bobby Segal. The Huskies have added Quinton Beasely, Ryan Moore, and Will Pleskow, among others. The Falcons captured seven players including Zach Johnson, Chris Morris and Charlie Piehler. For the women, Seattle University has signed Taylor Bolibol, Liana Heberer and two others. The UW lists four prep standouts as signed, including Lesle Gallimore and Kellie Welch. The defending National Champion Falcon women announced a class of seven, including Megan Lindsay and Taylor Sawyer. Most clubs will regroup this spring for practice and local matches before fall training begins in August. We've been watching the left back spot for a while now, and it looks like we have a possible starter today after Sounders FC announced Evan Brown, a draft pick from Wake Forest, has signed with the club. See the press release below. 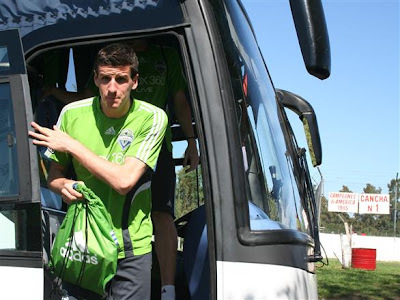 RENTON, WASH. – The Seattle Sounders FC signed defender Evan Brown, the 16th overall selection in the 2009 MLS SuperDraft out of Wake Forest. Per Major League Soccer and club policy, terms were not disclosed. Brown, 21, was taken by Seattle with the first pick in the draft's second round on January 15. An outside back, Brown helped Wake Forest (21-2-1) hold opponents scoreless 14 times in 2008. He scored two goals, including the game-winning goal in an ACC Tournament quarterfinal victory over NC State, and added eight assists as a senior. The Demon Deacons reached the NCAA College Cup each of his final three seasons, winning the national championship in 2007. Wake finished the 2008 regular season ranked No. 1 in the country. Brown was among six Wake players chosen in the draft. The Sounders FC opens its inaugural MLS season on March 19, hosting the New York Red Bulls in a nationally televised game at the Xbox Pitch at Qwest Field. We have received a roster update from Sounders FC this morning. It is posted below. Former USL Sounder striker Kevin Forrest, property of the Colorado Rapids, will be in camp today on trial. There has also been plenty of confusion over the status of SuperSearch winner Vini Oliveira. The promotion around that search seemed to say that the winner was guaranteed a spot on the final 24-man roster. The Sounders say today that Vini has to make the club just like everyone else, and is subject to being cut just like anyone else. Dave Clark looks at the battle for developmental spots on the roster. The roster is a hot topic in the GOALSeattle forums. Seattle Sounders FC are finally home...for now. The club practiced at Qwest Field for the first time today after spending last week in California. The giant replay screen greeted the players and club with a welcome message. The field surface was a pristine Field Turf green with only soccer markings. It was a gorgeous sunny day. Media were on hand and filed reports for their papers. In the Seattle Times Jose Romero blogs several photos and a video, too. His official report is here. Don Ruiz blogs his take at the TNT. The club website has notes from Matt Gaschk. Gary Washburn reports in the Seattle P-I. The Sounders will practice at Qwest Thursday, travel to Portland to play the U of P Friday, and then will play a closed scrimmage with the Vancouver Whitecaps Sunday at Qwest. RENTON, WASH. – The Seattle Sounders FC have signed Colombian central defender John Kennedy Hurtado, it was announced today. Per Major League Soccer and club policy, terms were not disclosed. Hurtado’s signing will be finalized upon receipt of his P-1 work permit and International Clearance. Hurtado, 24, completed a trial with Italy’s AC Milan last month. He saw action in a January 22 exhibition between Milan and Germany’s Hannover, playing the second half along with Kaka, Andriy Shevchenko and Filippo Inzaghi. 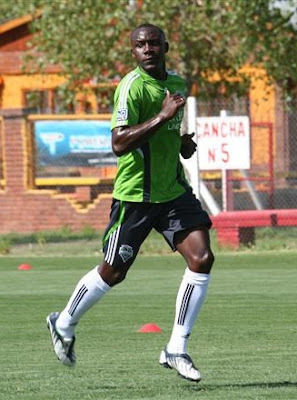 Hurtado played the 2008 season for Deportivo Cali, where he was a teammate of Fredy Montero, a Sounders FC forward. 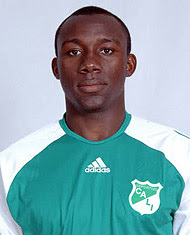 In 2007, Hurtado played for Real Cartagena of the Colombian first division. He has played a total of 121 matches at the first and second division levels in Colombia since 2004. Hurtado will meet the team in Argentina on February 25. 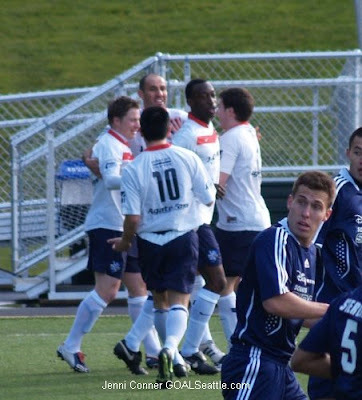 We recently broke the news that Tacoma Tide FC's all-time leading scorer Rory Agu would be returning to play for TFC in 2009. Now we've caught up with Rory Agu in Fresno and chatted with the speedy forward about his decision and the upcoming Tide campaign. "After my college season ended," says Agu, "I came back to Tacoma for winter break for about a week and a half. I cut my break short, so I could try and find a job and to start training to the PDL season. I have been running three times a week, playing indoor and training with our rivals Fresno Fuego three times a week. I also have been keeping in touch with players from last year, seeing what they are doing and keeping track of who is coming back and what new players are coming in." Going to college in Fresno right now it would only make sense for Agu to jump ship and play for the Fresno Fuego. Why hasn't he? "Loyalty," responds Agu. "I was given a chance to represent the city of Tacoma and State of Washington (playing with the Tide.) 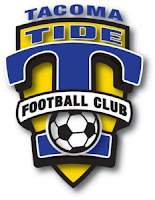 I have spent the last three years trying to help Tacoma Tide F.C. become a respected club in the Puget Sound area. I still feel like I have more to give to the Tide this year." "I have been training with the Fresno Fuego for about a month now. The Fuego have been talking to me about playing for them this season since the summer. The GM for the Fuego came out to a few of my college games this year as well (Fresno City CC). After my season ended I called the GM to see if I could train with them for the pre-season. He told me that I had to talk to the coach about that. So I called the coach and we talked about my future. I told him that I will be returning to Tacoma for the 2009 season. He understands my loyalty to Tacoma." The hook-up with Fresno has another benefit for Rory. The Fuego will play the Major League Soccer San Jose Earthquakes Friday February 20th. "I will be in Fresno for the game. I had talked to the coach last week about the chance of me playing in the game and he has told me that I will play. So I'm very excited to get a chance to play against an MLS side. I have never played against an MLS club before. For me this game is a good way for me to get seen, so I'm going to take every chance like its my only one." 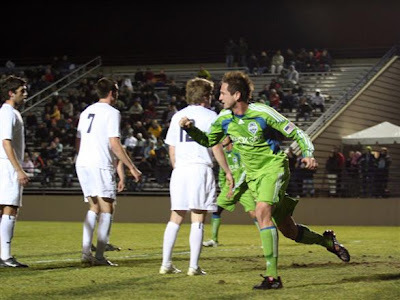 Agu still has clear memories of the Tide winning their first Northwest Division crown in 2008 and then beating Fresno 3-0 in a playoff match before almost 4,000 fans in California. "It is the best feeling to be here training with a rival team and wearing your teams color high. I know how it made them feel that we (Tacoma Tide) ended their season." Topping 2008 won't be easy for Tacoma. Every year they have shown marked improvement over the year before. In 2007 it was making the playoffs. In 2008 it was winning the division and advancing to the regional final. 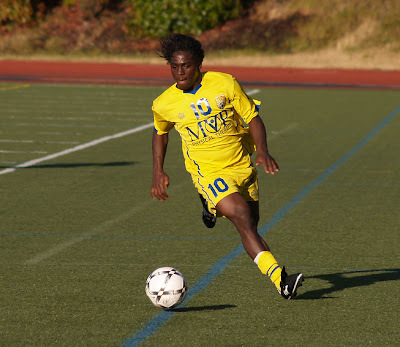 In 2009 Agu has a goal that has eluded the club so far: qualifying for a US Open Cup match. "I feel that this being our fourth year, we (the players) owe it to the club to give our best yet. So that means we are looking to play in the US Open Cup for the first time. We are also looking to move closer to a PDL crown. I have been hearing some good news about the soccer community in Tacoma, and about some players that we might get. So fans, get ready for a great 2009! I feel like we are going to have the best team this club has ever had." University of Washington winger Raphael Cox played for the Tide last year. Read about what he's doing now as a player in the Real Salt Lake training camp. The GOALSeattle forums (www.SeattleSoccerTalk.com) are getting busier all the time as we approach March 19 and Sounders FC's first-ever match. John Kennedy Hurtado. The buzz is that Seattle are close to announcing the deal for a team mate of Fredy Montero's from Deportivo Cali. Hurtado is a quick, sturdy center back, just what fans have been calling for. Upgrading the Sounders' defense. Fans are liking what they are hearing up front with the tandem of Nate Jaqua and Fredy Montero looking like a dynamic duo. In the back, though, we seem thin on speed. Before the buzz about Hurtado, fans were talking about how we could upgrade our back line. Chelsea coming to Seattle. Everyone seems excited about the chance for the fledgling Sounders to match up against the European giants. Grass or plastic? Getting flagged. 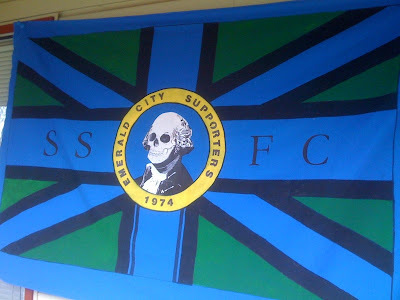 The GS flag contest is winding down but the entries are picking up. 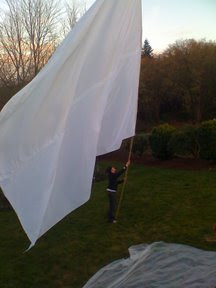 How is this guy going to get his huge flag into Qwest Field? Off the pitch. Fans are talking about promos on KZOK, GSSL and a fundraiser by Gorilla FC. Join the talk in our forums today. Register here. RENTON, Wash. - Seattle Sounders FC will host Chelsea FC, winners of five major English titles in the past five seasons, Saturday, July 18, at Xbox Pitch at Qwest Field, it was announced today. Kickoff is set for 12 noon pacific time and the match will be televised live on ESPN2. The match is part of the Sounders FC full 18-game season ticket package. To date, the club has sold 19,800 season tickets. Seattle opens its first Major League Soccer season at home on March 19 against the New York Red Bulls. "We are delighted to be opening our preseason preparations in Seattle,” said Peter Kenyon, the Chief Executive of Chelsea FC. “It is a fantastic city and we have great memories of our time there in the summer of 2004 which went on to be a great season for us. The Sounders FC will provide us with a real test and we are happy that a sporting city like Seattle now has its own new soccer franchise as it is important for the development of the game in the United States. We will be bringing a full strength squad so it should be a great game." Chelsea features a star-studded lineup led by captain and defender John Terry and midfielder Frank Lampard-both members of the English National Team-and other accomplished internationals such as Didier Drogba, Michael Ballack and Deco. 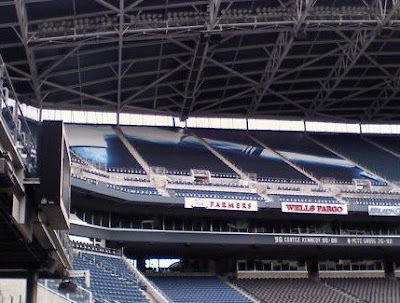 In anticipation of the demand for tickets, seating at Qwest Field will be expanded to include the upper bowl for the Chelsea game. Chelsea will be making its first trip to Seattle since the London club certified its standing as one of the world’s powers by winning back-to-back Premier League championships in 2004-05 and 2005-06. The Blues finished second in the EPL the past two seasons and in 2008 they were runners-up in Europe’s most prestigious competition, the UEFA Champions League. The recent run of success also includes an FA Cup (2007) and two Carling Cups (2005, 2007). This marks Chelsea’s fourth visit to Seattle and second to Qwest Field. In 2004 the Blues defeated Scotland’s Celtic, 4-2. The original North American Soccer League Sounders won a friendly, 2-0, at the Kingdome in 1977. Chelsea first toured in 1967, defeating a local amateur side, 5-0, at Memorial Stadium. An on-sale date to purchase tickets exclusively for the Chelsea match will be announced later this spring. Season ticket memberships that include the Chelsea match are available by phone at 1-877-MLS-GOAL or online at www.SoundersFC.com. Three weeks left in flag-making contest! Win an SSFC season ticket! The March 5th submission deadline is quickly approaching in the GOALSeattle.com Sounders FC Season Ticket Flag-Making Contest. Contest rules here. Over the weekend Joe submitted his entry, which is getting some nice early feedback. It's a unique alteration of the Washington State flag. There is still time for you to enter and win a 2008 Seattle Sounders FC south end GA season ticket! Kitsap Pumas Soccer Club held their first-ever open tryouts yesterday and The Kitsap Sun and reporter John Becerra Jr. and photographer Larry Steagall were on hand to chronicle the event. See the Kitsap Sun coverage here. 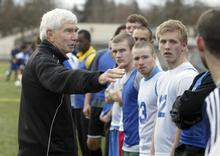 Eighty-three soccer players from as far away as Oregon, Idaho and Alaska turned out on a cold day to impress new head coach John Wedge, his assistants Andrew Chapman and James Ritchie and a cadre of volunteers enough to earn a spot on the team. "It's fantastic," Wedge said of the turnout. After a brief meeting with the coaches, the hopefuls ran through defense and dribbling drills, with the goalkeepers working on their own drills. From that, the coaches determined the final 10 players that would move on. Two of them are former area high school standouts in David Meherg and Zack Sampson. The rest of the names will be released later this week. Meherg, a 2007 graduate of Olympic High School, was a four-year starter for the Trojans at forward. He was the Olympic League MVP and an all-state first team selection his senior year. 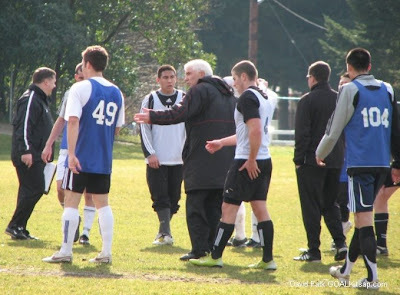 Photo credit: Kitsap Sun photographer Larry Steagall captures Pumas' head coach John Wedge giving instructions to trialists. Tacoma Tide FC recently got good news as they look ahead to defending their PDL Northwest Division crown. Rory Agu, a Tacoma native who is the club's all-time leading scorer, plans to return and play for TFC for a fourth straight year. Rory will miss tryouts and pre-season training because he is in school in Fresno, California. However, he's struck a deal to train with a Tide playoff rival, the Fresno Fuego, to get ready for the season. In fact, Agu has been with the Fuego for nearly a month. Agu's timing is just right in terms of getting some exposure. The Fresno Fuego will play the Major League Soccer San Jose Earthquakes on Friday February 20th, and Rory is likely to see some playing time against them. Recently Rory kept his scoring touch alive with ten goals for Fresno City CC. Tacoma Tide FC open their 2009 season May 13th with a visit to Seattle to help the Wolves make their PDL debut at Starfire. The GOALSeattle forums have been filled with posts since day one of camp over concern about the Sounders' defensive back line. Jeff Parke doesn't seem to want to play in Seattle and hasn't signed, while the deal for Costa Rican Roy Miller fell through due to health care issues for his pregnant girlfriend. All the while the names being brought into camp had "M" or "F" by them. Very few "D's." Still, how could you argue with giving up only two goals in three pre-season matches? Where was the proof that Seattle's defense may be suspect? Last night's 3-2 loss to the San Jose Earthquakes provided some evidence for us defense-doubters. Even head coach Sigi Schmid slipped in a concern. I'm not sure if Sigi believes he has the right personnel in place in the back and they just are making 'bad decisions,' or if he already realizes more help (talent) is needed. Seattle's back line starters for the match were Nathan Sturgis, Tyson Wahl, Taylor Graham and James Riley. Kasey Keller was tagged with all three goals. The defensive concerns coming to light overshadowed to a degree the continued sparkle of Colombian striker Fredy Montero. Fredy scored both of Seattle's goals and continues to gain experience and confidence in the attackers that surround him. 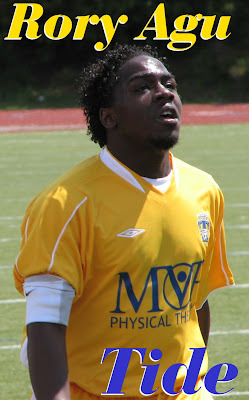 Tyrone Marshall, the recently acquired Jamaican central defender and national team captain has yet to see action for Seattle. The club is coming back home to train next week and he is expected to join them then. 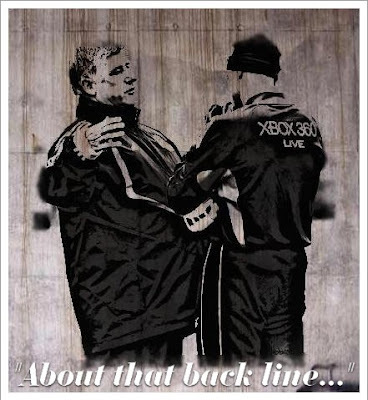 Photo credit: Sigi Schmid talks with Kasey Keller in a photo by Rick Morrison that we've given a digital treatment to. The Sounders face the San Jose Earthquakes tonight in a pre-season match that is also a preview of the 2009 Heritage Cup. Kick off is at 7:00 PM from Cal Poly San Luis Obispo. We are expecting SoundersFC.com to blog match updates here. Fans in San Jose have been reaching out and working with fans in Seattle to create a cup that memorializes the history of the two clubs which dates back to 1974 in the North American Soccer League. 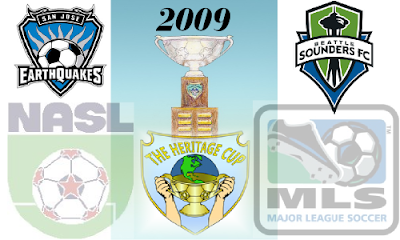 The Heritage Cup begins in 2009 with Seattle and San Jose and awaits the possibility of other NASL cities joining Major League Soccer with their NASL club names intact. Read more about the Heritage Cup here. (Robert Stevenson designed the Heritage Cup logo and his wife Sarah is currently working on the 2009 poster). Sounders FC are having a good week of training, especially results-wise, where the club are 3-0 and have outscored their opponents 11-2. It is quite another matter tonight as Seattle will face fellow MLS competition and will likely be going against many of the Earthquakes projected starters for at least the first half. It has also been a busy week off the pitch for the Sounders, who have acquired defender Tyrone Marshall, traded winger Khano Smith and cut three former Sounders along with a few others as they sift through the camp player pool. The Sounders and Quakes have met in friendlies over recent years and have also tangled several times in United States Open Cup knockout matches. Last year the United Soccer Leagues Sounders traveled to San Jose for an in-season friendly and upset the Earthquakes 2-1 at Buck Shaw Stadium.